The leading independent specialist for windscreen replacement and windscreen repair based in Redruth and serving all of the Redruth area. National Windscreens Redruth fitting centre provides windscreen replacement and windscreen repair services to businesses and individuals throughout Redruth and the Redruth area. 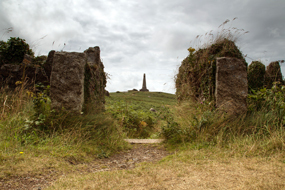 The Cornish town of Redruth is located in one of the busiest tourist areas in Britain, being just north of St. Ives and just south of Newquay. The A30 runs through the town and allows much traffic to pass through on route to the tourist destinations in St.Ives and Penzance. The town is traditionally an urban Cornish mining town, it is now at the heart of the World Heritage site of Cornwall. The Redruth windscreen fitting centre and its mobile vehicle glass technicians service the needs of Redruth and the surrounding area including Truro, Penzance, Newquay and Falmouth. With 108 fitting centres and over 800 mobile technicians, National Windscreens operates the UK's largest windscreen repair and windscreen replacement network. The company provides low cost, high quality windscreen replacement and windscreen repair from its Redruth fitting centre 24 hours a day, 7 days a week, 365 days a year. Repair and replacement of all types of vehicle glass including windscreens, rear windows and side windows is undertaken throughout Redruth and all of the Redruth area.